M.C. 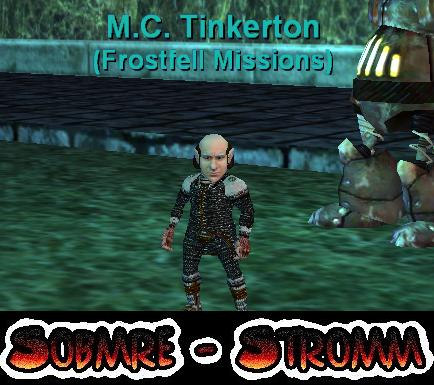 Tinkerton is part of annual Frostfell events that run from the beginning of December through the first week of January. During these events (after December 26) he can be found next to the Great Divide portal in the Plane of Knowledge. This page last modified 2015-12-27 11:09:59. See ingame achievement "Holiday - New Year: Frostbeard". He is light blue to me and I am lvl 63...So he is not lvl 65. He has returned for 2008. PC Tinkerton is back in POK December 19 2006, with same quest as 2005.